Ok, so I said I wasn�t going to talk about the ladies event anymore because I�ve said my piece on the issue and I�m confident that the majority of people get why this event should be left alone. I do want to call out Annie Duke, though, for dodging the pressing question of how she justifies calling herself the best female poker player in the world. �Annie Duke The Best Female Poker Player in the World.� Her words. Not mine. In her last blog she decided to argue against my points, but conveniently decided to dodge the issue of her claiming superiority over all women in poker claiming it was a personal attack. 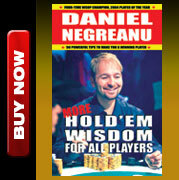 �Annie Duke The Best Female Poker Player in the World.� Her words� not mine. I think the real reason she decided not to defend that claim is because she realizes there is simply no good way to spin that statement and have her come out looking good. However, if you are going to make such an outlandish claim, you would think that you�d have some way of backing it up and defending it. No one liked it when Ricky Henderson broke the base stealing record and said, �Today, I am the greatest of all time.� He did break the record, but the statement left everyone feeling a bit like, �Well good for you.� It�s in bad taste to do stuff like that. The reason it IS relevant in her arguments is because it shows just how out of touch she is with women in poker. She insults the other hard working women professionals when she makes such a claim. 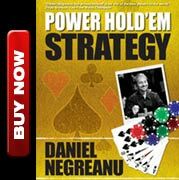 It discredits her claims about what�s �best for women in poker� because she herself claims to be superior to all of them when it comes to playing poker. Again, her words� not mine. I�d love to hear how she justifies making such a claim, and I�ll bet the poker world would be all ears listening to her explain why she is the best female poker player in the world. Her dodging the question reminds me of when I met with a guy named Greg Pierson of ultimate bet about a scandal from years ago when they lied to the WPT about holding a pro event worth $250,000. I met with Greg after for a �drink� to discuss my issues with UB, and when I brought up WPT Aruba he said, �Well, I don�t wanna talk about that.� Well Greg, that�s ALL I wanted to talk about. While Annie is supposedly claiming to fight for equality, she does so at the same time as claiming superiority over all women in poker. Her words. Not mine.